Perfect for making your own lip gloss, perfumes, or roll on facial serums. 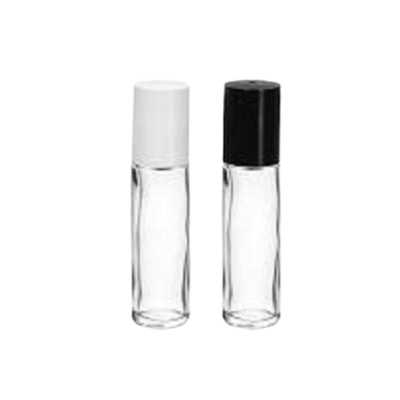 These 1/3 ounce (10 ml) clear glass bottles come with a black or white lid. These have the metal ball insert.